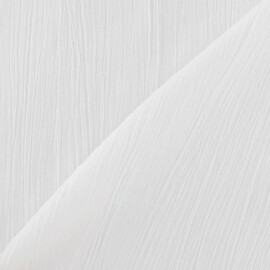 Light and fresh, adopt our apparel fabric in cotton and viscose! 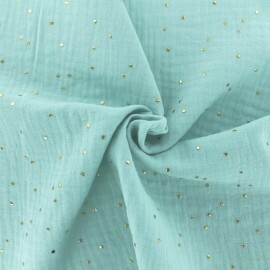 Fresh and delicate, this Saga patterned fabric is composed of 50% viscose and 50% cotton and very light and aerial. 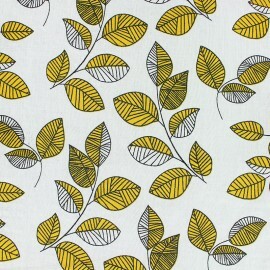 With its yellow leaves patterns on a white background, it will be ideal to make pretty soft outfits. Light and fresh, adopt our apparel fabric in cotton and viscose! 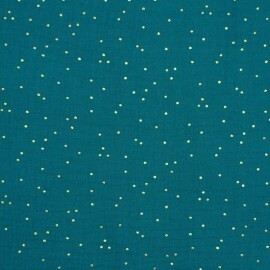 Fresh and delicate, this Jeannette patterned fabric is composed of 50% viscose and 50% cotton and very light and aerial. 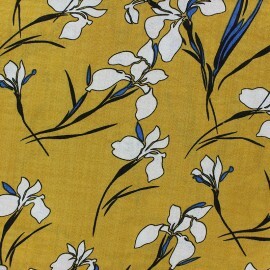 With its white floral patterns on a yellow background, it will be ideal to make pretty soft outfits. 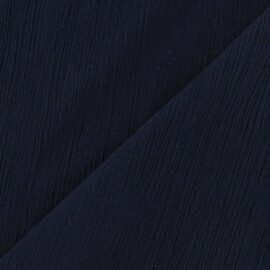 Light and fresh, adopt our apparel fabric in cotton and viscose! 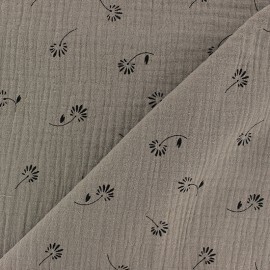 Fresh and delicate, this Tillia patterned fabric is composed of 50% viscose and 50% cotton and very light and aerial. 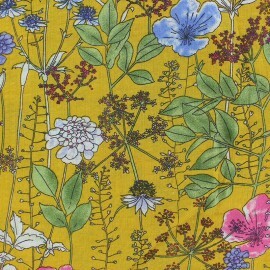 With its floral patterns on a yellow background, it will be ideal to make pretty soft outfits. 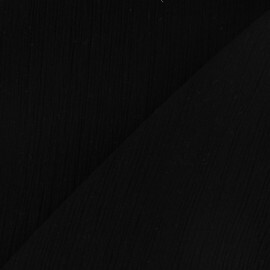 Light and fresh, adopt our apparel fabric in cotton and viscose! 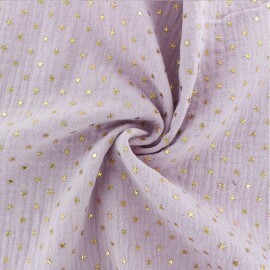 Fresh and delicate, this Tillia patterned fabric is composed of 50% viscose and 50% cotton and very light and aerial. 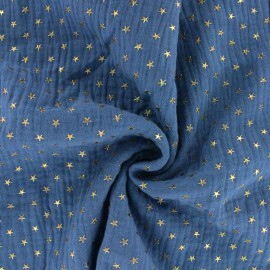 With its floral patterns on a dark blue background, it will be ideal to make pretty soft outfits. 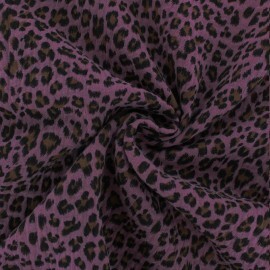 The leopard print, very trendy this year, invades the double gauze cotton fabric! This double cotton gauze fabric in a blue swell color with this pretty bestial print will be perfect to make clothes such as blouses or dresses and to make accessories and decorations for your home. 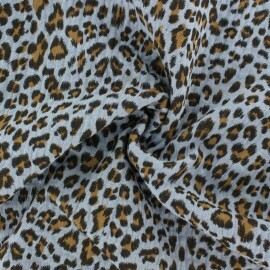 The leopard print, very trendy this year, invades the double gauze cotton fabric! This double cotton gauze fabric in a light blue color with this pretty bestial print will be perfect to make clothes such as blouses or dresses and to make accessories and decorations for your home. 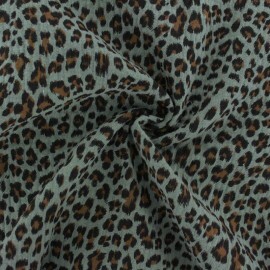 The leopard print, very trendy this year, invades the double gauze cotton fabric! This double cotton gauze fabric in a grey color with this pretty bestial print will be perfect to make clothes such as blouses or dresses and to make accessories and decorations for your home. 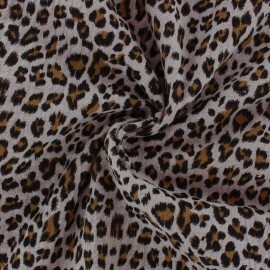 The leopard print, very trendy this year, invades the double gauze cotton fabric! This double cotton gauze fabric in a eucalyptus green color with this pretty bestial print will be perfect to make clothes such as blouses or dresses and to make accessories and decorations for your home. 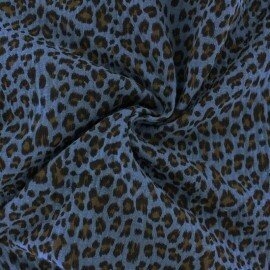 The leopard print, very trendy this year, invades the double gauze cotton fabric! 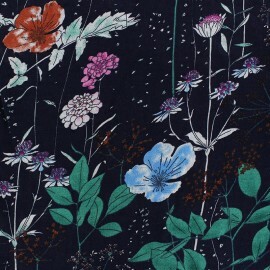 This double cotton gauze fabric in a peacock blue color with this pretty bestial print will be perfect to make clothes such as blouses or dresses and to make accessories and decorations for your home. 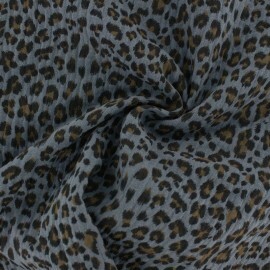 The leopard print, very trendy this year, invades the double gauze cotton fabric! 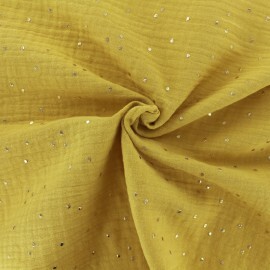 This double cotton gauze fabric in a mustard yellow color with this pretty bestial print will be perfect to make clothes such as blouses or dresses and to make accessories and decorations for your home. 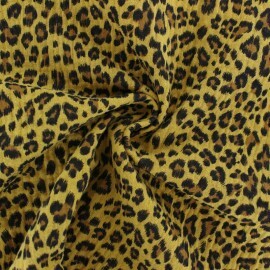 The leopard print, very trendy this year, invades the double gauze cotton fabric! This double cotton gauze fabric in a pink color with this pretty bestial print will be perfect to make clothes such as blouses or dresses and to make accessories and decorations for your home. 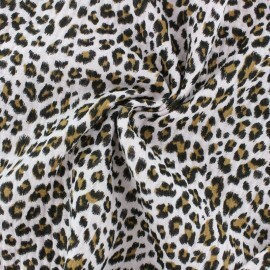 The leopard print, very trendy this year, invades the double gauze cotton fabric! This double cotton gauze fabric in a fig pink color with this pretty bestial print will be perfect to make clothes such as blouses or dresses and to make accessories and decorations for your home. 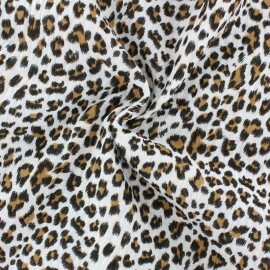 The leopard print, very trendy this year, invades the double gauze cotton fabric! This double cotton gauze fabric in a raw color with this pretty bestial print will be perfect to make clothes such as blouses or dresses and to make accessories and decorations for your home. 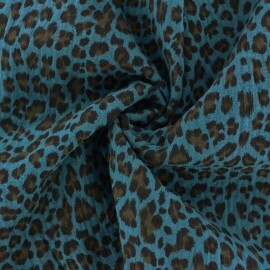 The leopard print, very trendy this year, invades the double gauze cotton fabric! 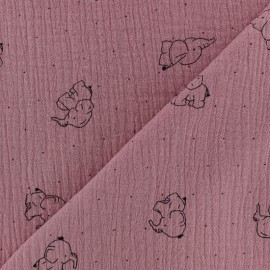 This double cotton gauze fabric in a baby rose color with this pretty bestial print will be perfect to make clothes such as blouses or dresses and to make accessories and decorations for your home. 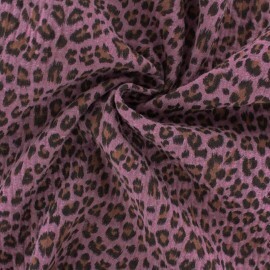 The leopard print, very trendy this year, invades the double gauze cotton fabric! This double cotton gauze fabric in an old pink color with this pretty bestial print will be perfect to make clothes such as blouses or dresses and to make accessories and decorations for your home. 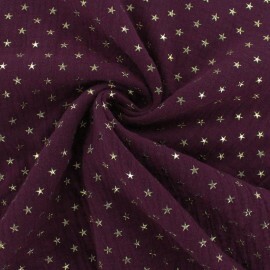 Fall for this soft, patterned double gauze Cotton fabric, a timeless basic for light, soft and comfortable creations. Woman, child and baby, perfect for all your sewing needs: clothes, accessories, decorations. Choose in our whole range of colors and patterns like this Bloom pattern version on a pretty Chestnut brown background. 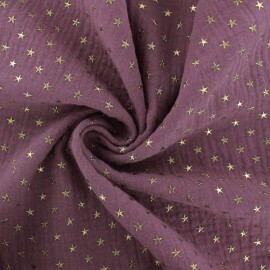 Fall for this soft, patterned double gauze Cotton fabric, a timeless basic for light, soft and comfortable creations. Woman, child and baby, perfect for all your sewing needs: clothes, accessories, decorations. 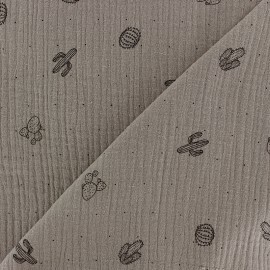 Choose in our whole range of colors and patterns like this Cactus pattern version on a pretty Chestnut background. 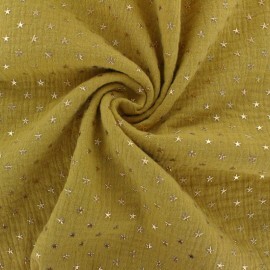 Fall for this soft, patterned double gauze Cotton fabric, a timeless basic for light, soft and comfortable creations. Woman, child and baby, perfect for all your sewing needs: clothes, accessories, decorations. 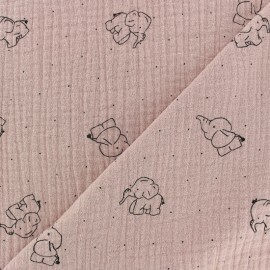 Choose in our whole range of colors and patterns like this elephant pattern version on a pretty old pink background. 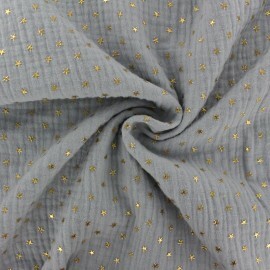 Fall for this soft, patterned double gauze Cotton fabric, a timeless basic for light, soft and comfortable creations. Woman, child and baby, perfect for all your sewing needs: clothes, accessories, decorations. 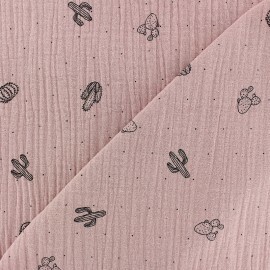 Choose in our whole range of colors and patterns like this Cactus pattern version on a pretty old pink background. Fall for this soft, patterned double gauze Cotton fabric, a timeless basic for light, soft and comfortable creations. Woman, child and baby, perfect for all your sewing needs: clothes, accessories, decorations. 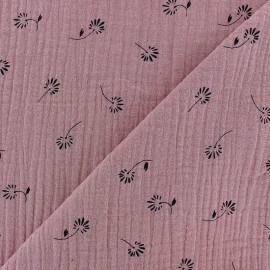 Choose in our whole range of colors and patterns like this Bloom pattern version on a pretty old pink background. Fall for this soft, patterned double gauze Cotton fabric, a timeless basic for light, soft and comfortable creations. Woman, child and baby, perfect for all your sewing needs: clothes, accessories, decorations. 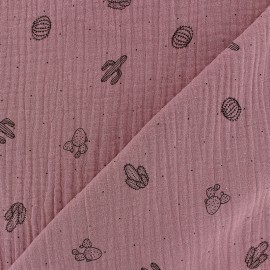 Choose in our whole range of colors and patterns like this Cactus pattern version on a pretty rose water background. Fall for this soft, patterned double gauze Cotton fabric, a timeless basic for light, soft and comfortable creations. Woman, child and baby, perfect for all your sewing needs: clothes, accessories, decorations. Choose in our whole range of colors and patterns like this elephant pattern version on a pretty rose water background. Fall for this soft, patterned double gauze Cotton fabric, a timeless basic for light, soft and comfortable creations. Woman, child and baby, perfect for all your sewing needs: clothes, accessories, decorations. 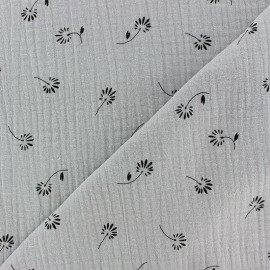 Choose in our whole range of colors and patterns like this Bloom pattern version on a pretty light grey background. Fall for this soft, patterned double gauze Cotton fabric, a timeless basic for light, soft and comfortable creations. Woman, child and baby, perfect for all your sewing needs: clothes, accessories, decorations. 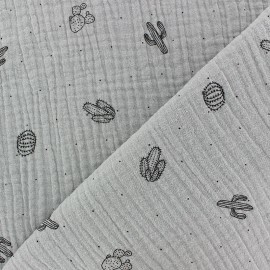 Choose in our whole range of colors and patterns like this Cactus pattern version on a pretty light grey background. Fall for this soft, patterned double gauze Cotton fabric, a timeless basic for light, soft and comfortable creations. Woman, child and baby, perfect for all your sewing needs: clothes, accessories, decorations. 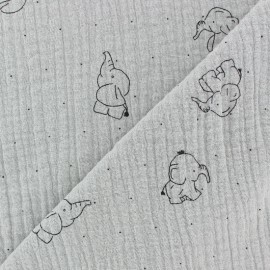 Choose in our whole range of colors and patterns like this elephant pattern version on a pretty light grey background. 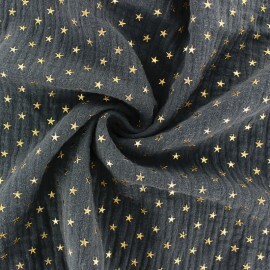 You will love our double gauze cotton fabric with cute golden stars. It will be perfect to make clothes such as blouses or dresses. 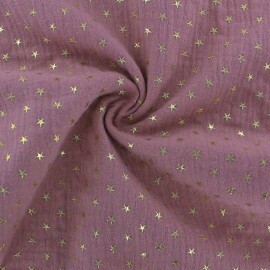 Pick our Oeko-tex certified pink double gauze fabric with golden stars, and let your imagination run free. This slightly wrinkled fabric does not require ironing, if you still want to iron it, iron on the reverse side only ! 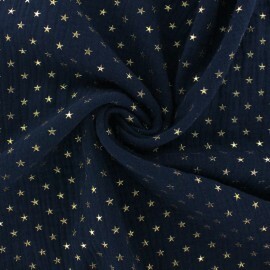 You will love our double gauze cotton fabric with cute golden stars. It will be perfect to make clothes such as blouses or dresses. 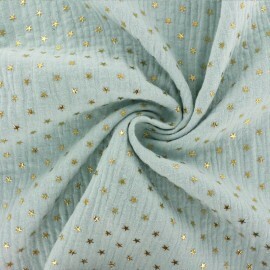 Pick our Oeko-tex certified Fig double gauze fabric with golden stars, and let your imagination run free. This slightly wrinkled fabric does not require ironing, if you still want to iron it, iron on the reverse side only ! 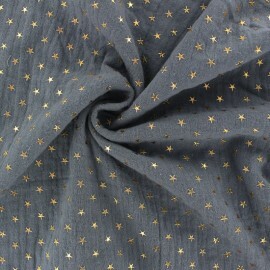 You will love our double gauze cotton fabric with cute golden stars. It will be perfect to make clothes such as blouses or dresses. 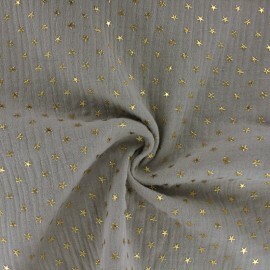 Pick our Oeko-tex certified grey double gauze fabric with golden stars, and let your imagination run free. This slightly wrinkled fabric does not require ironing, if you still want to iron it, iron on the reverse side only ! 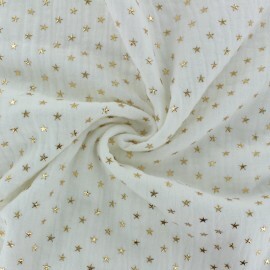 You will love our double gauze cotton fabric with cute golden stars. It will be perfect to make clothes such as blouses or dresses. 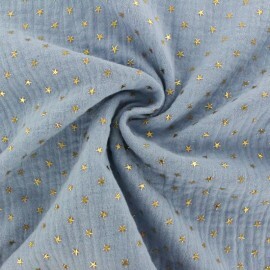 Pick our Oeko-tex certified raw double gauze fabric with golden stars, and let your imagination run free. This slightly wrinkled fabric does not require ironing, if you still want to iron it, iron on the reverse side only !